This post finishes a series on implementing microarchitecture with Apache Ignite. Learn to send requests to the microservices from external applications. Part I - Overview of the proposed solution. Part II - Various coding templates needed to implement the solution in a live environment. This final post describes how to integrate the cluster with a persistent store and send requests to the microservices from external applications -- apps that know nothing about the cluster and don't rely on its APIs. We will continue to refer to the same GitHub project introduced in Part II. So, make sure to check it out on a local machine or update to the latest modifications. 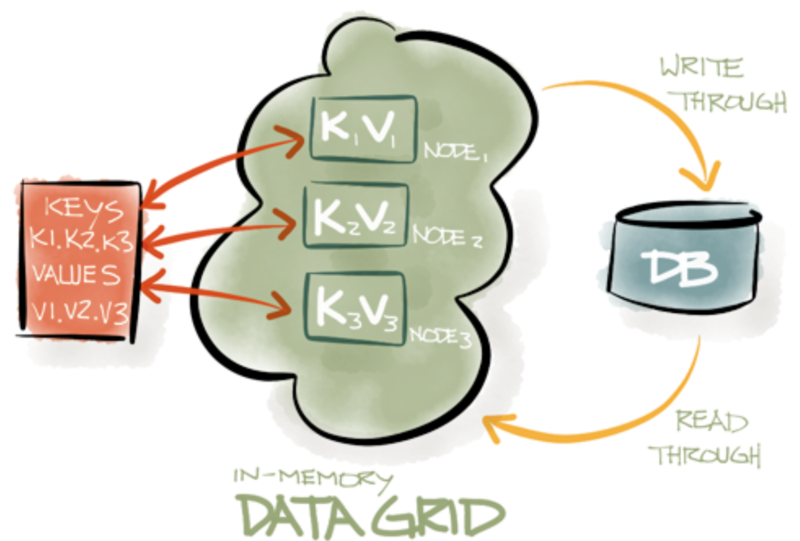 Apache Ignite is an in-memory data platform that keeps the data in RAM by default. However, there is a way to persist it on disk if, for instance, you want to be sure that the data doesn't get lost even after the whole cluster restarts. Decide what we want to use as a persistent store (a relational database, MongoDB, Cassandra, Hadoop, etc.). Pick up one of the existing implementations of Cache Store interface or develop a new one if needed. Add an implementation to a cache configuration. In particular, every update that will happen in RAM will be automatically propagated to disk or if there is no value for key1 in RAM. Then it will be preloaded from the persistent storage on-the-fly. Now let's see how we can implement and plug in a custom store for our microservices-based architecture referring to specially created GitHub project. The string appeared because TestAppStartup triggered an update of 'maintenance' cache that automatically sent the update to our dummy persistent store. TestAppStartup is one of the examples of an application that works with our microservices deployed in the Apache Ignite cluster. It's an internal application in a sense that it connects to the cluster directly and talks to the services by means of Service Grid API. But what about external applications that might not or should not be aware of your cluster and the overall deployment. How can they interact with the microservices? A solution is simple. An Apache Ignite service should listen to incoming requests from the external application in some different way and respond to them. >>> Shutting down the application. In this series, we've seen how a microservices-based solution can be deployed and maintained in an Apache Ignite cluster. Such a solution allows us offloading of microservices lifecycle and high-availability tasks to Apache Ignite thinking of an actual implementation. Plus, having all the data and microservices distributed across the cluster means that you no longer need to worry about performance and fault-tolerance - this will be handled for you by Apache Ignite. Published at DZone with permission of Denis Magda . See the original article here.